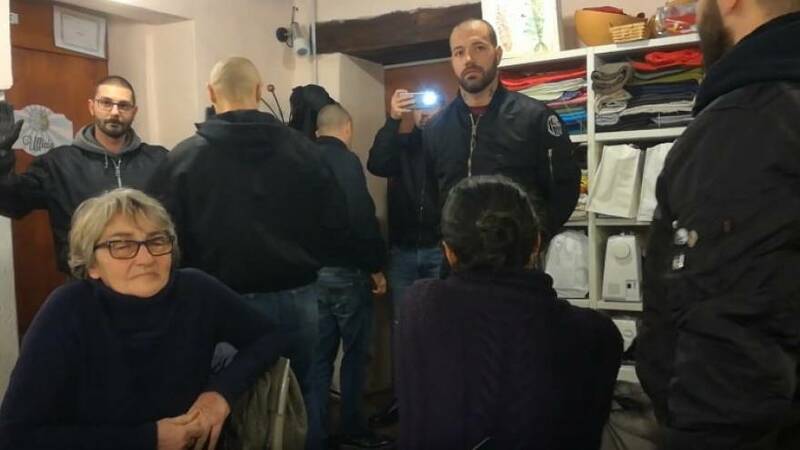 Video has emerged of an Italian neo-Nazi group interrupting a meeting held by a pro-migrant group in Como on Tuesday evening. Como Senza Frontiere, or Como Without Borders, were gathered together in the northern Italian city when the Veneto Front Skinheads arrived uninvited. A man, flanked by fellow gang members, approached the table and chastised the group’s work. “These non-people [migrants], created by uncontrolled modernity, seek to substitute [our] people in the name of progress … Let's stop the invasion,” the man said. 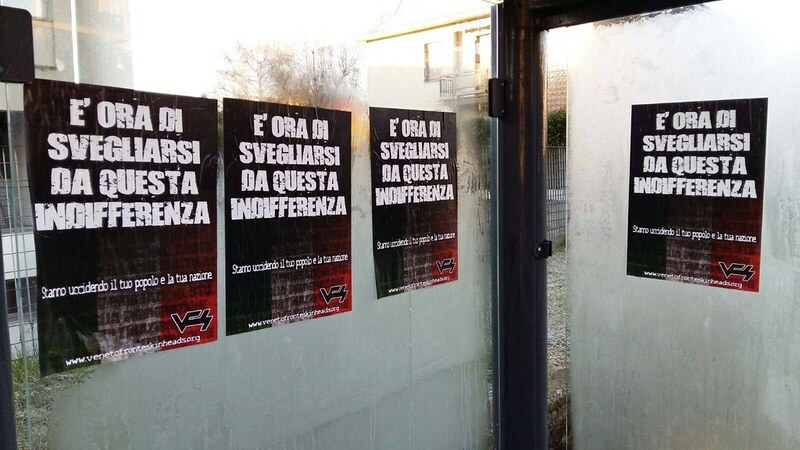 The gang’s propaganda has cropped up in the city before, but it was the first time the Como Senza Frontiere, an initiative that holds together various NGOs and associations, was confronted face-to-face by the neo-Nazis. “[They] already put wall posters against migrants around Como but we never had contact with them before. We denounced the act to the authorities. It's the first time that happened in Como,” said Francescato, adding that they reported the incident to police. While the gang is based in Veneto, nearly 300 kilometres east of Como, Francescato said she identified some members as from the Como area. "Everyone says they are from Veneto but, in fact, four of them have been identified as people from Como. Their accent is 'comasco'," she said. The co-director of Italy's Repubblica newspaper wrote an opinion piece on the incident, saying: "This is scarier than the headbutt in Ostia. It shows the return of right-wing fascism that feels legitimate and having full rights within the democratic society. It's surreal." "It's something similar to what happened in the 20s, when we kept repeating ourselves that everything was normal, there was no danger. That they were only isolated groups," he wrote, a reference to the time just before ex-dictator Benito Mussolini, of the National Fascist Party, came to power.